Six people were taken to hospital after a horse-drawn wagon overturned at Fort Edmonton Park Wednesday. The people inside the wagon were ejected. One of the adults is in serious condition and the other five are in stable condition, EMS said. 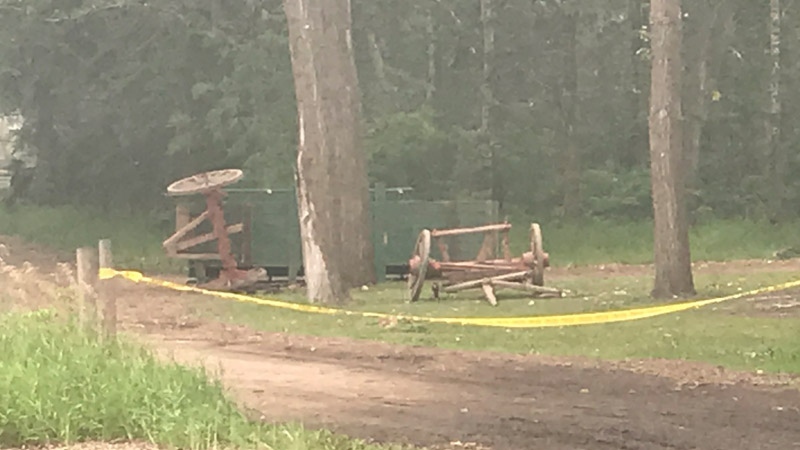 Fort Edmonton Park remains open, but all animal-related activities are currently suspended, and the area where the crash happened is taped off. Six people are in hospital after an accident on this horse carriage at Fort Edmonton Park on Wednesday, August 15, 2018.